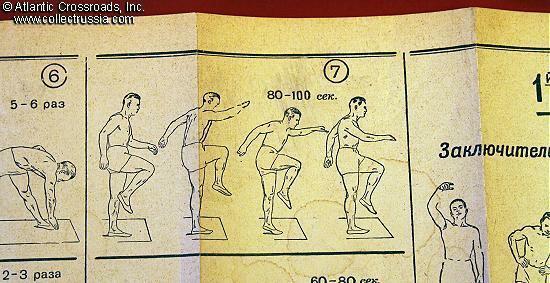 "Instruction for the Officer Staff of the Red Army, Individual Gymnastics for Every Day, (Second Edition)," a handbook for physical education instructors, dated 1945. 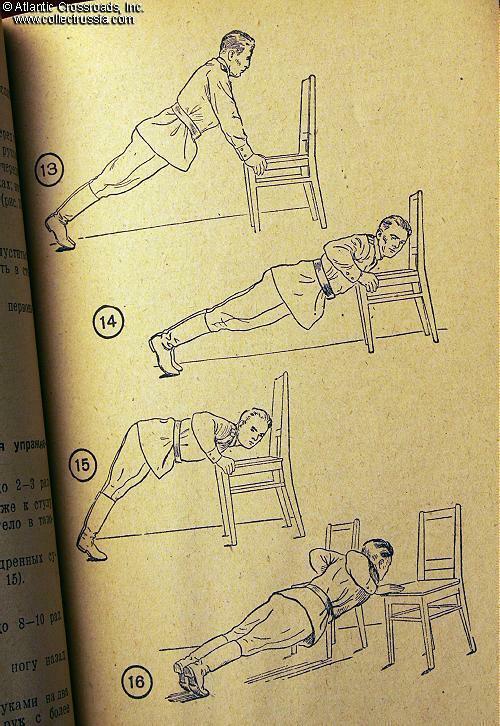 "Instruction for the Officer Staff of the Red Army, Individual Gymnastics for Every Day, (Second Edition)," a handbook for physical education instructors, dated 1945. 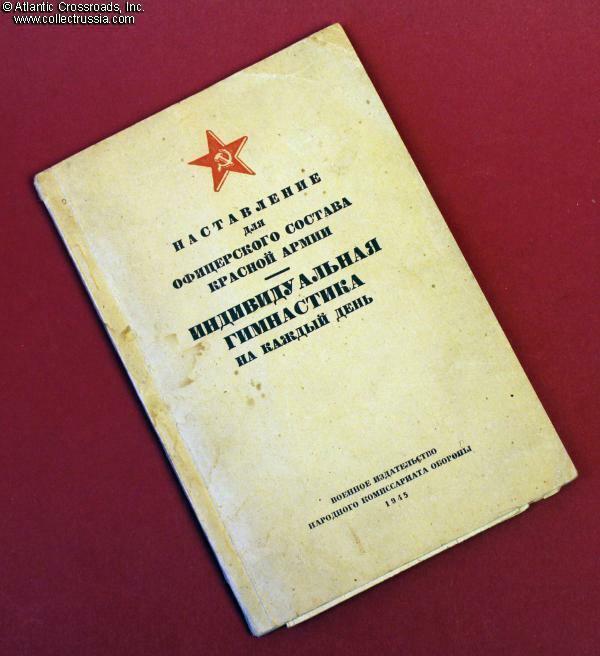 Printed by the Military Publishing House of the People's Commissariat of Defense. Forward by Marshal Voroshilov. 72 pp, 4 3/8" x 6 ½". 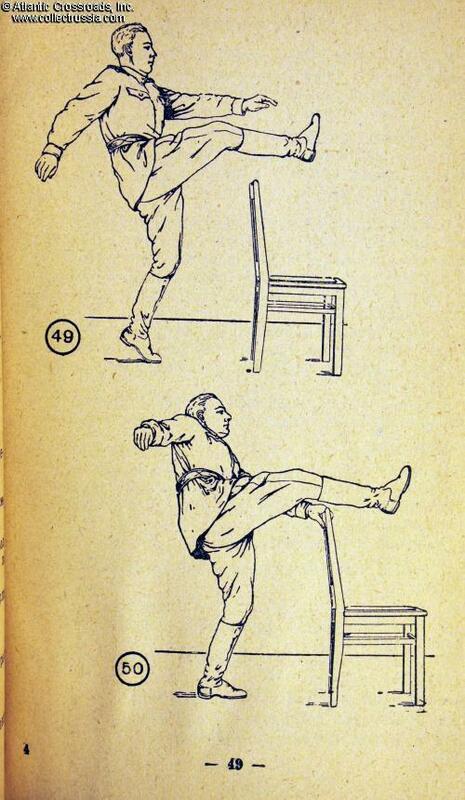 Various drawings in the text plus two very large folded illustrations (one is 33" x 6 3/8" and the other is 24 x 6 3/8") that illustrate a wide range of exercises. Very good to excellent condition. A few minor stains on the cover, a crease on the title page, and one of the folded illustrations has partially separated on a fold (easily reparable with archival tape). The American Army was appalled in 1941/1942 at the terrible physical condition of the majority of its new recruits and draftees. Its first order of business was to establish special PT classes to get young Americans physically ready to fight the Axis. 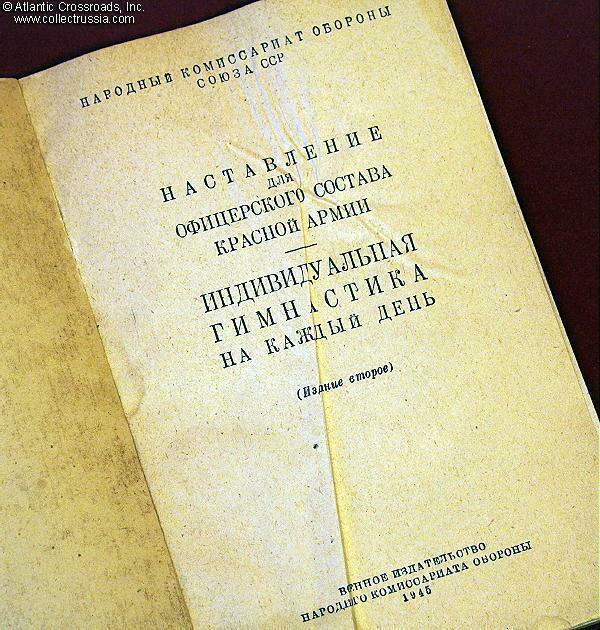 This booklet shows that the Red Army did much the same thing and also developed an equally sophisticated physical training program for its soldiers by the end of the war.